Starbucks plans music ecosystem with Spotify deal. Starbucks will embed Spotify's streaming capabilities into its mobile app, as part of a multi-year deal between the two companies. 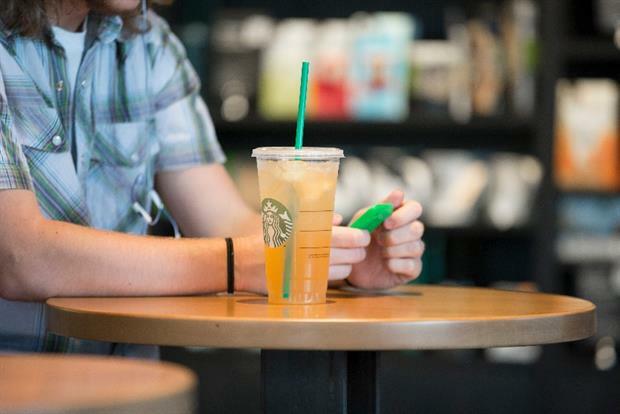 The deal appears to be a joint loyalty drive and user acquisition drive for the two firms, with Starbucks handing limited music streaming for free to the 10 million members of its My Starbucks Rewards program. There are multiple aspects to the deal, starting with Spotify handing free premium subscriptions — which usually cost $9.99 a month — to Starbucks’ 150,000 US employees. Employees will be able to create branded playlists for in-store music, which will also be hosted on Starbucks’ loyalty app. Loyalty program members will then be able to stream that music for free. Spotify will also host a branded Starbucks section within its service, featuring the coffee company’s most popular music over the past two decades. It isn’t clear whether this section will be automatically visible to all Spotify users or whether it will be opt-in. All Spotify users will have the chance to earn loyalty points — or stars — to save toward free food and coffee at Starbucks. This is the first time Starbucks has opened up its loyalty scheme to a third party. Starbucks will also promote Spotify’s premium subscriptions in-store, rewarding customers who sign up with loyalty points. Starbucks’ president and chief operating officer, Kevin Johnson, said in a statement: "We plan on building one of the most robust digital ecosystems of any retailer in the world. "Given the evolution of the music industry and the proliferation of streaming technology, it was natural that we would partner with Spotify in offering our customers a new way to engage with their favourite music." The news comes months after Starbucks halted CD sales in its stores and marks the firm's continued innovation push. The company last year outlined a $30 billion, five-year plan to introduce new services such as coffee to deliver.